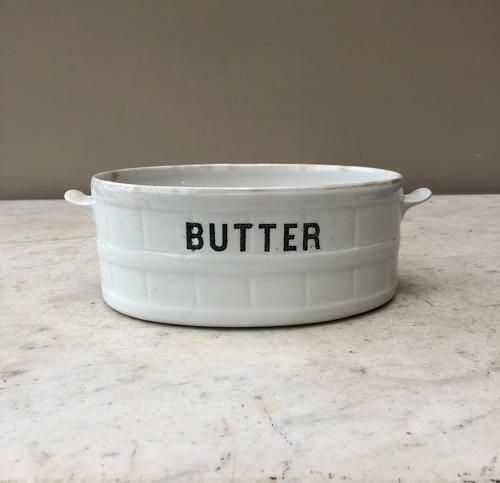 Large Edwardian White Ironstone Banded "BUTTER" Dish. These Butter dishes are becoming hard to find...this is a large size...good to use on the table open as there is no lid. Few stain spots..crazing but no chips or actual damage.